Trinity's Contemporary music is led by Robert Horton. 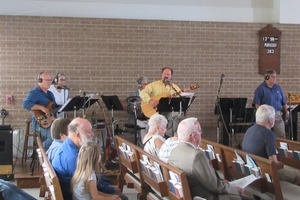 The Trinity Praise Band leads contemporary style Christian worship music at the 11:15 a.m. Sunday service. For more information on the praise band, contact Robert Horton at 281-615-1394. Trinity's Junior Choir is for children in Kindergarten - 5th Grade. They are classically trained by parishioner volunteer, Amy Waltz-Reasonover, professional harpist. and Ms. Billie Williams. 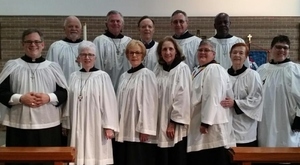 The Junior Choir meets Sunday mornings, except for 1st Sundays and special services, in the Choir Room from 10:15-11:00 a.m. to practice and receive Christian Formation. They sing an anthem in church about every six weeks. For more information on the Junior Choir, contact Amy Waltz-Reasonover 832-776-3872.